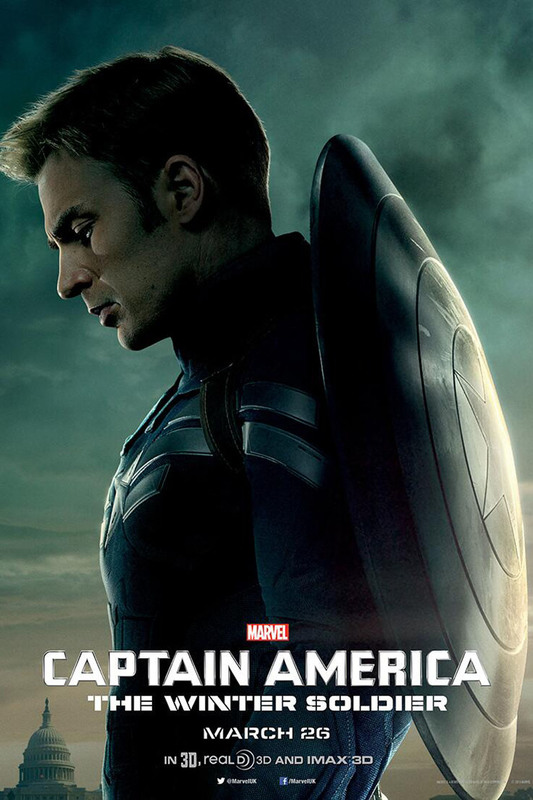 My call finally ended, and the family and I were at last able to see Captain America: The Winter Soldier. The setting is mostly Washington, DC, sometime after the events from The Avengers. 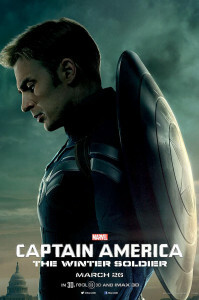 Since those momentous events, Cap has decided to remain in uniform, working for SHIELD. He is tasked with work which he thinks is noble, but is aggravated when he realizes its all just spying and rather dirty. All of this rightly pisses him off, and he dresses down Nick Fury when the SHIELD director shows him the 3 new, gigantic helicarriers the organization plans on using to combat global crime BEFORE it happens. All of this is possible because of the intrusive nature of modern life – our emails, Facebook, Goodreads, purchases, page views on the internet…all of it is captured and mineable. Cap speaks for all of us when he says the helicarriers aren’t about safety; they’re about fear. Who will watch the watchers? That’s the setup. Then the organization Fury is supposed to be leading turns on him, tries to assassinate him, and the only person Fury can turn to? Captain America. Next comes a mystery and intrigue stretching from the 40’s through the 70’s and extending to today. We learn who the puppet masters are who pull the strings as well as a beloved friend of Cap who’s now an enemy. What I found remarkable is how well the action and exposition were balanced. The movie never bogged down, but the pace wasn’t frenetic. It wasn’t purposeless movement. The directors – Joe and Anthony Russo – create space to allow character development, toss in inside jokes like when Falcon suggests Cap might want to take up Ultimate Fighting. This shortly after Cap beats the snot out of Georges St. Pierre, the former UFC welterweight champion, who played Batroc the Leaper, a French mercenary. It was light moments like this, or the interplay between Black Widow and Cap that allowed the movie to move forward and not get overwhelmed by the nature of the material. There’s tight acting all around, especially Chris Evans who somehow emotes the virtue and nobility that makes Captain America my favorite hero. Scarlett Johansson is wonderful as Black Widow, and Samuel L. Jackson is his normal charismatic self as Nick Fury. Then there’s Robert Redford – I was so happy to see him join a big budget movie again – plays the Secretary of SHIELD, and he brings his typical class and laid-back acting style to the role. I loved this movie. In some ways, given the timely nature of the material, which this movie lays bear – what with NSA spying and the false choice some wish us to make between safety (the safety of a self-imposed prison cell) and freedom – The Winter Soldier reminded me of The Dark Knight. Except this is a much better movie.